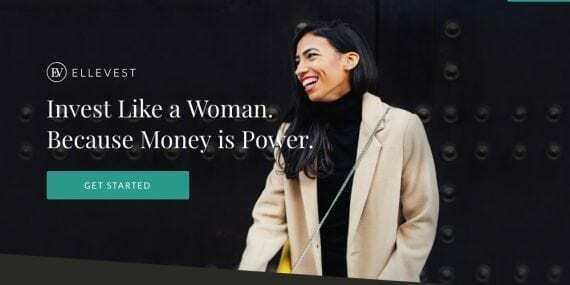 Despite the fact that startups with all female founders receive only 2 percent of total venture capital investments, tenacious women are still achieving success in ecommerce. Many of them worked for other ecommerce companies or investment firms before going out on their own. Several attended prestigious graduate business schools where they met their business partners and made valuable contacts. Here is a list of eight successful ecommerce companies that were founded by women. Co-founders Steph Korey and Jen Rubio launched Away in February 2016 with one product, a $225 hard-shell carry-on suitcase that came in four colors and had a lifetime warranty. 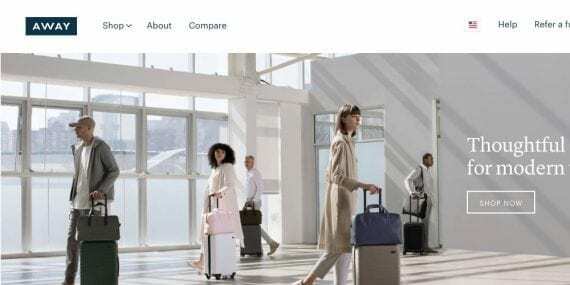 Since then the New York-based company has sold more than half a million suitcases — mostly online — and has stores in Austin, Los Angeles, London, Manhattan, Chicago’s O’Hare airport, and San Francisco. Away plans to open more stores in the U.S. It has already achieved profitability and has 235 employees. Many celebrities have purchased Away luggage, which now comes in several pastel colors. Away received $2.5 million in seed funding in August 2015, $8.5 million in a Series A funding in 2016, $20 million in Series B funding in 2017 and another $50 million for expansion in June of this year from Global Founders Capital, Forerunner Ventures, and Comcast Ventures. Both founders had worked for online eyeglass purveyor Warby Parker — Jen Rubio as head of social media and Steph Korey as head of supply chain. Korey is a graduate of Columbia Business School. The belief that traditional investment advisor services are not gender neutral inspired co-founder and C.E.O. Sallie Krawcheck to found Ellevest with tech entrepreneur Charlie Kroll in late 2014. Krawcheck received an M.B.A. from Columbia University and was formerly C.E.O. of Merrill Lynch Wealth Management. Krawcheck says that because women live longer than men and may have taken time off from work to raise children, their retirement requirements are different from those of men. Krawcheck is also chair of Ellevate Network, a group of professional women helping each other achieve their career goals. Ellevest raised a $10 million seed round in late 2015 followed by a $34.6 million Series A round in 2017 led by Rethink Impact. Based in New York, Ellevest has over $140 million in assets under management and 81 employees. Started in 2014 by Emily Weiss with just four products, Glossier now sells skincare, makeup, and fragrance products online to consumers in the United States, Canada, and the United Kingdom. The company has a showroom in New York, where it is also headquartered. It has more than 300 employees across three countries. Founder Weiss worked for several fashion magazines and then started a beauty blog called “Into the Gloss” in 2010 that cultivated a large following. The idea for an ecommerce beauty site evolved from the blog. With a degree in art from New York University rather than a business degree, Weiss felt unprepared to raise funds. Eleven venture capital firms turned her down. The female founder of Forerunner Ventures, Kirsten Green, decided to bet on Weiss. Green invested $2 million in seed funding in September 2014. Just two months later Glossier received a Series A round of $8.4 million from another firm. Since then it has received two more rounds of $24 million and $52 million for a total $86 million. 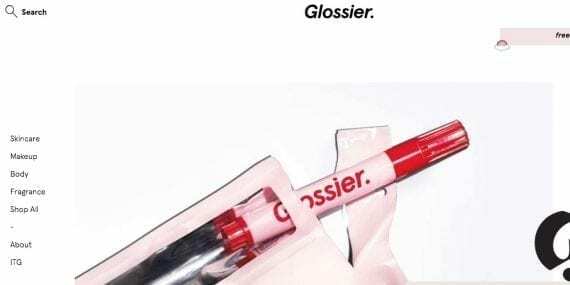 Glossier has captured a loyal millennial audience because Weiss shrewdly calculated before other brands that women wanted a shopping experience, not just products. Co-founders Rachel Romer Carlson and Brittany Stich launched Guild Education, in Denver, to help working adults who do not have a college or high school education to attain degrees via their employers’ tuition benefit programs. Guild’s program includes a network of non-profit universities. Companies that participate —Walmart, Disney, Taco Bell, Lowe’s — increase employee retention and get a significant return on investment. Guild also provides an administrative and benefits platform for employers. Carlson founded Student Blueprint in 2014, an education technology company that provided academic and career planning tools. In 2015 she co-founded Guild Education and left Student Blueprint in 2016. Carlson has an M.B.A. from Stanford Business School. Stich also has an M.B.A. from Stanford as well as a master’s degree in education. She worked as a teacher for two years. With an initial seed funding of $2 million in 2015, Guild went on to garner three venture capital rounds in the following three years. The latest in July of 2018 was for $40 million. In total, the company has received $71.5 million. At age 16 Jessee Genet started making t-shirts in her parents’ basement in Detroit. Genet Apparel was in business for three years. Genet then moved to Los Angeles and received a B.S. in product design. In 2010 she started a new company, Inkodye, which manufactured a sunlight-activated fabric dye. Genet brought the product to market through two Kickstarter campaigns that raised over $270,000. She achieved profitability, selling the product in more than 1,500 global retail stores for five years. 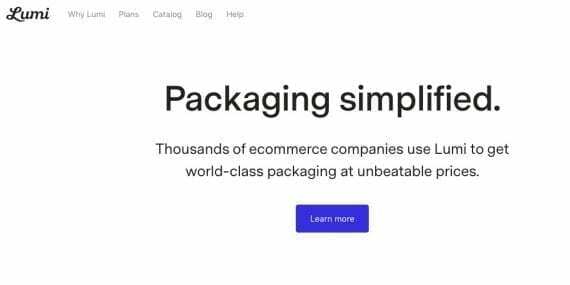 Lumi, Genet’s latest venture, is an online platform that helps U.S.-based ecommerce companies manage their packaging supply chain. In 2015 after a failed effort on the television series Shark Tank to get Lumi funded, Genet participated in incubator Y Combinator and changed Lumi’s business model. The Lumi Dashboard allows ecommerce firms to find and procure packaging produced by Lumi’s global network of factories. Lumi’s customers must ship more than 1,000 orders per month. Based in Los Angeles, the company has 63 employees. Mariam Naficy was already an experienced online entrepreneur when she co-founded Minted in 2007. Her first company, Eve.com, established in the late 1990s, was a leading online retailer of cosmetics, accessories, and jewelry. She sold it to Idealab for $110 million in 2000. After that, she ran the ecommerce division at Bath & Body Works. Before launching Eve.com, she worked as an investment banker at Goldman Sachs. Naficy’s co-founder at Minted, Melissa Kim, was the manager of corporate strategy at eBay. Both Naficy and Kim have M.B.A.s from Stanford Business School. 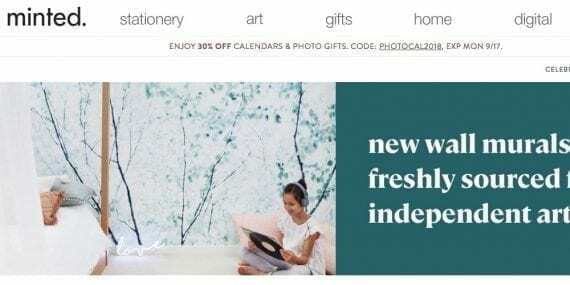 Based in San Francisco, Minted is an art-oriented online marketplace that competes with Etsy — selling stationery, art, and home décor. However, unlike Etsy, Minted does all the manufacturing and shipping itself. To decide on the products, Minted crowdsources the best designs from a community of hobbyists, who vote for their favorites. Then the winning designs become items that are sold through the website. The designers receive a percentage of each sale. Naficy grew up in the Middle East and Africa. She saw interesting art and design, much of which would never be available to consumers in the developed world. The internet provided a way to bring the art to a global audience. Minted’s community of independent artists and designers are located in all 50 states and 96 countries. Minted raised $2.5 million in seed funding in July 2008 followed two months later by a Series A round of $2.1 million. Three subsequent rounds of venture capital funding followed — the last one in 2014 for $38 million for a total of $89 million. Katrina Lake and Erin Flynn founded San Francisco-based Stitch Fix in 2011 and went public in 2017 with an initial public offering that raised $120 million. Before the IPO, the company raised about $40 million in seed funding and three venture capital rounds. As of August 2018, the company was valued at $2.8 billion and had over 6,300 employees including 3,400 stylists. Flynn left the company in 2012. 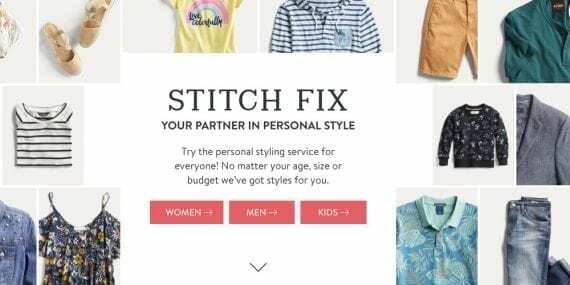 Stitch Fix offers clothes for men, women, and children. Users fill out a profile for a personal stylist, who can then select clothing. Customers get selected clothing delivered with no subscription required. They can purchase what they like and send back the rest. There is a $20 styling fee that can be applied to any purchase. Shipping is free both ways. Customers can choose automatic deliveries at chosen intervals if they wish. Lake has an M.B.A. from Harvard Business School. Before that, she worked for a retail consultant group and for a venture capital firm. 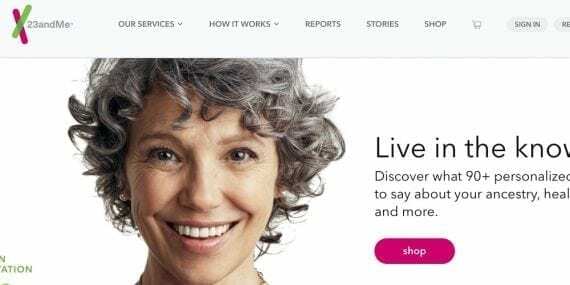 Founded in 2006 by Anne Wojcicki and Linda Avey, 23andMe sells saliva collection kits online to consumers. The kits are approved by the U.S. Food and Drug Administration. Consumers can purchase an ancestry report, a wellness report, and a genetic health risk report. Customers send the kit back to the company, where the DNA from the saliva is examined in the company’s labs and the results are sent to the customer. Both founders have a bachelor’s degree in biology. Avey left the company in 2009 and went on to found another healthcare startup. Wojcicki worked as a health care investment analyst for four years prior to starting 23andMe. Entrepreneurship runs in her family. She was married to Sergey Brin, co-founder of Google, during the early years of 23andMe. Her sister Susan is C.E.O. of YouTube. Google was an early investor in the company. It took years for the company to get F.D.A. approval for the DNA testing kit. The F.D.A. initially forbade the company from selling the genetic kits. However, this had little effect on the company’s ability to raise funds. Today the kits are sold on Amazon as well as the company’s website. Based in the Silicon Valley, 23andMe has raised $786 million in 12 funding rounds over the years. 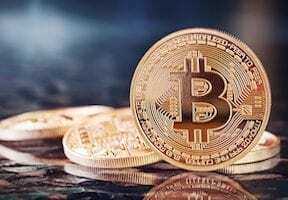 The latest occurred in 2018 with pharmaceutical giant GlaxoSmithKline for $330 million. The company is valued at $2.5 billion and has over 230 employees.